We’re so excited about our latest window film design, the Ichthus or Christian Fish, The Ichthus means ‘Christian here’ and has been used for centuries as a symbol of faith. We’ve used the Christian Fish as an integral part of the leaded glass frame, making the design both elegant and inspiring. When used as a door or window covering, Ichthus symbolizes a simple affirmation of the faith of those inside. This design is available in a variety of sizes. 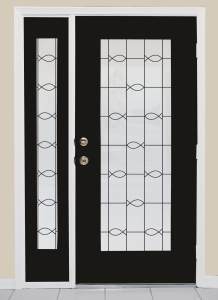 Our SIX options range from 8 – 48 inches wide and as large as 86 inches tall. 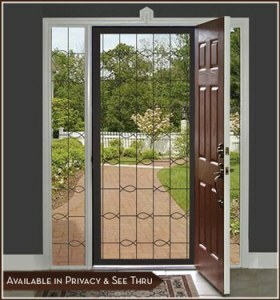 Each of the six sizes is available in both privacy and see-thru versions! Our privacy version combines Lite Frost with the leading line grid. It obscures visibility through the glass without darkening your room. 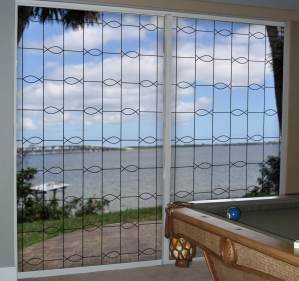 The see-thru version features a leading line grid on a clear film. It allows complete visibility through the glass, plus the benefits of UV protection and energy savings. 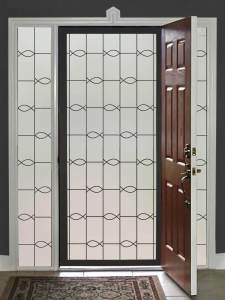 This entry was posted by Design Team on April 17, 2012 at 9:33 am, and is filed under Decorate Glass Doors, Decorate Windows, Glass Storm Doors, Sliding Glass Doors, Window Film Basics. Follow any responses to this post through RSS 2.0.Both comments and pings are currently closed.